Register Now 3 Free Trials - For your satisfaction Registration process is secure and simple and takes only 5 minutes! We are fully dedicated to our students. When you subscribe for our courses, there is no need to worry about anything. With over 100+ families and counting, you cannot go wrong with QuranPointOnline.com. Check out what parents are saying about our online academy. Learning Quran Online with tajweed. 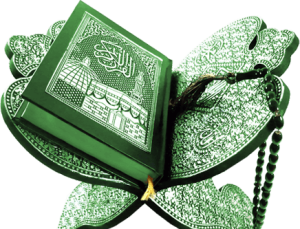 QuranPointOnline.com is a leading and exclusive Learning Quran online and Remote learning academy established in Pakistan. We are engaged in exploring the new avenues for promoting remote tutoring, especially the Holy Quran. We provide one to one Learning Quran online Lessons and basic Islamic Teachings to all students ranging between the ages of 4 to 70 living any where in the world. So,This course is only for those who can read the holy Quran with tajweed because the first right of the holy Quran is to read it with correct pronunciation and then to understand. This course needs to learn some basic Arabic grammar rules which help the student to understand the Arabic language. Which is the language of the holy Quran. So, we teach Arabic grammar for 1 to 2 months before starting of tafseer and translation. Finally, for more details please contact us by email or phone number.